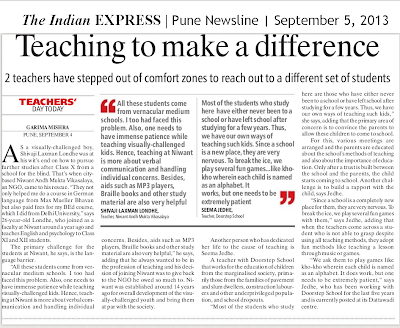 ...Another person who has dedicated her life to the cause of teaching is Seema Jedhe. A teacher with Doorstep School that works for the education of children from the marginalised society, primarily those from the families of pavement and slum dwellers, construction labourers and other underprivileged population, and school dropouts. "Most of the students who study here are those who have either never been to a school or have left school after studying for a few years. Thus, we have our own ways of teaching such kids," she says, adding that the primary area of concern is to convince the parents to allow these children to come to school. 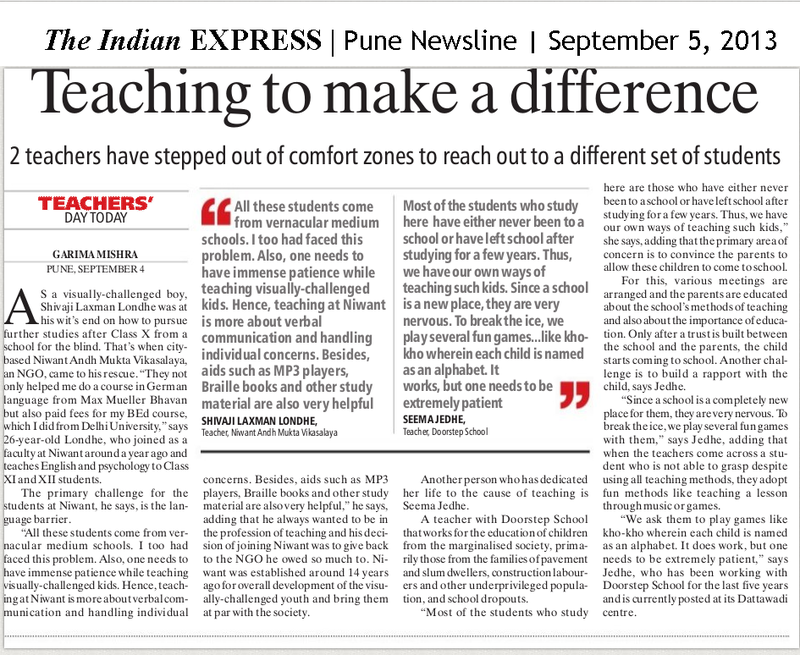 Another person who has dedicated her life to the cause of teaching is Seema Jedhe. "Most of the students who study here are those who have either never been to a school or have left school after studying for a few years. Thus, we have our own ways of teaching such kids," she says, adding that the primary area of concern is to convince the parents to allow these children to come to school.